Digital marketing is getting an update. Today’s advanced tracking and targeting technology delivers a huge amount of data that offers outstanding insight into campaign performance. As a result, marketers can now reach the right consumers on the right digital devices, and then measure their engagement at every possible touch point. All of this data lets marketers customize the online experience and drive consumers toward conversion. And every step of the way, marketers can be aware of what’s working and what needs improvement. Data has clearly driven the shift in digital marketing, but some marketers are still unsure about how to properly use this insight for smarter targeting. 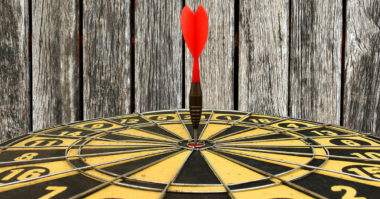 Luckily, HubSpot cleared up any confusion by sharing the top four ways for marketers to use data to target real results. Say goodbye to your old media-buying practices. Programmatic buying has changed the purchasing process for the better. It’s an automated and adjustable method of purchasing digital media in real time. It offers increased flexibility for fast campaign updates, all the benefits of regular message testing, and the ease of instant scaling. If your target audience doesn’t see your ads, you won’t see any results from your efforts. Sometimes it’s possible to confirm that every marketing message is viewed by the right consumers through third-party ad verification, but this can be rather costly. Alternatively, by using the latest tactics and technology to acquire consumer data, marketers can ensure that their ads are reaching the right people all by themselves. A website is comprised of thousands of unique visual elements, but they don’t have to be displayed to every user in the same way. It’s actually smarter to customize these elements for each individual visitor based on your prior consumer data. This data can come from their purchasing patterns, browsing history, or demographics. Even without such prior data, the website can use the visitor’s navigation behaviors to customize their experience. This will enable you to serve each and every visitor with the content most relevant to their interests and needs. The ubiquity of digital devices is taking the buyer’s journey in all kinds of new directions. That’s why it’s become extremely common for consumers to interact with brands on many different devices before a conversion takes place. And, consumers expect to have a completely consistent experience on every single device. The only way to deliver this kind of experience is by tracking the digital data that’s relevant to each and every consumer. This can be easily accomplished through people-based measurement, which relies on unique identifiers that track a consumer’s engagement on every device they use. The data obtained through people-based metrics helps marketers deliver the right messaging at every consumer touch point. In addition, it also enables marketers to acquire accurate reach and frequency metrics, measure the ROI for each channel, and connect online interactions to offline conversion rates. Aim to keep up with the latest in target marketing. Contact MDG Advertising.